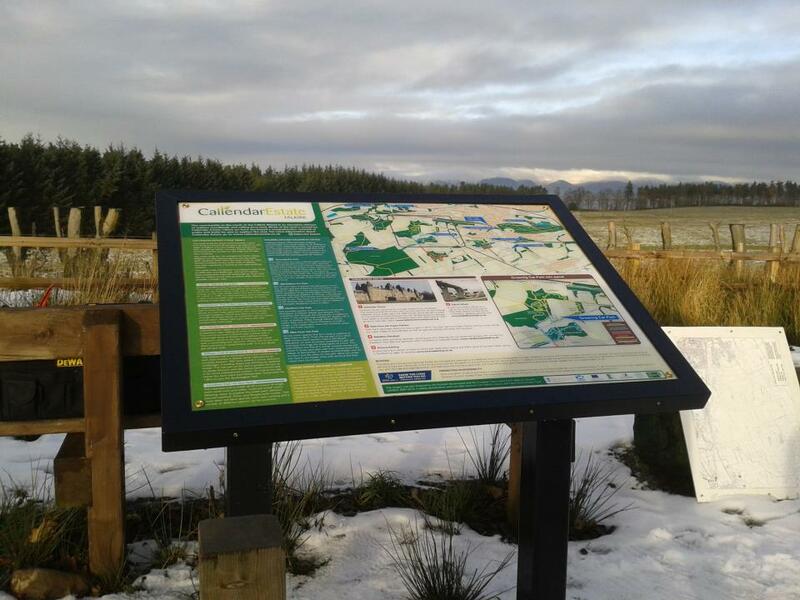 In addition to developing and maintaining this website we have also worked with Callendar Estate to create orientation boards located at the Falkirk Wheel, Greenrig, Bantaskine and Lionthorn car parks. The orientation boards are located at trail heads and other prominent places and have a map of the paths and trails as well as information about the local area, advice about which paths are suitable for different types of use and give some information about the work of Bespoke. Funding for this project has been secured through LEADER with the panels being in place since spring 2013. The 2013 Cycle Trails Leaflet is in circulation, if you dont have yours yet, get in touch or visit the Callendar Estate Office on Slamannan Road and remember to grab some for your friends!